Brand new venue is already making waves in the nation’s capital with amazing shows and a great performance space. 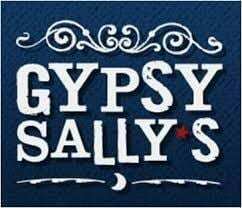 Introducing Gypsy Sally’s! This brand new venue in the nation’s capital is set to be opening on Sept 12, 2013 and will be located at 3401 K Street NW (Georgetown). “We’re very excited to announce the upcoming opening of Gypsy Sally’s – Where the Music Never Stops!” There’s tremendous buzz about this venue as live music finally comes back to Georgetown! The club will feature many genres of live music including Americana, Country, Rock, Bluegrass, Indie, Jazz, Blues, and more. The listed capacity is 300 and bands will be pleased to learn of their Tour Bus / Van + Trailer parking available. Gypsy Sally’s will even feature the Vinyl lounge for hosting pre/post show parties and private events. great shows. Already since they’ve opened they’ve had some great shows and artists from around the country including Adam Ezra Group, Hackensaw Boys, Jack Grace Band, Midnight Spaghetti, Girls Guns and Glory, Roscoe Bandana and many others! Previous articleGringo Star performs "Make You Mine" on Audiotree Live, January 25, 2013.